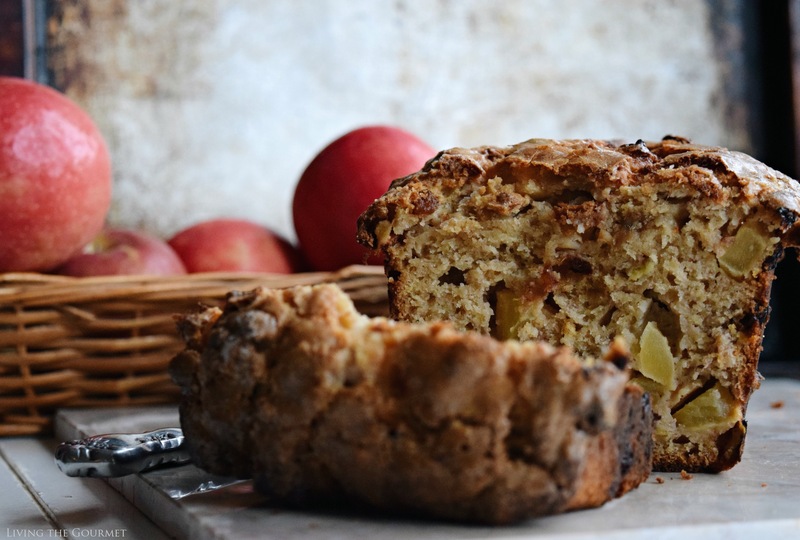 This hearty fruit loaf is a wonderful blend of sweet apples, bananas and citron. We’ve all been there – driven to obsess over things that we can’t control. We fret over the rain, such remarks as “The weather isn’t cooperating,” as if the skies were subject to our whims. We spend time contemplating the passage of time, or wither idly fretting over our lack of action. It’s a cycle best described, in cliché terms, as vicious. In other words, act, since the time will pass all the same. Without delving into why, I’ve found myself thinking of precisely that over the past few days…alright obsessing more than thinking. Then again, what mortal doesn’t occasionally wax futile, as the Greeks used to say? That sense of futility does strange things to the mind, even in sleep, and I woke up yesterday with the fuel of just a few less-than-restful hours. I stepped outside with my first coffee into the warm haze of a dying night, and waited for the sunrise. Needless say, I just had to break the malaise, to move my mind onto pleasanter things, things that I could actually control, or that would just get me back into the routine of things. As if fate had decreed it, stepping back inside the first thing my eyes fell on was the messy pyramid of apples crowning my fruit my bowl. It was time to upset the applecart of the past few days, and what better way than a quick round of morning baking? Which brings us to today’s recipe. In a large bowl mash the bananas; add the eggs, vanilla, yogurt, sugars, vegetable oil and mix together. In a separate bowl combine the flour, baking powder, cinnamon, salt and stir. Add this to the banana mixture and mix. Stir in the diced apples and dried fruit. Butter a loaf pan well and add the batter. Sprinkle sugar over the top of the batter. Bake for about 1 hour and 15 minutes or until the toothpick test comes out clean. Let cool about 10 minutes or so before taking out of pan. 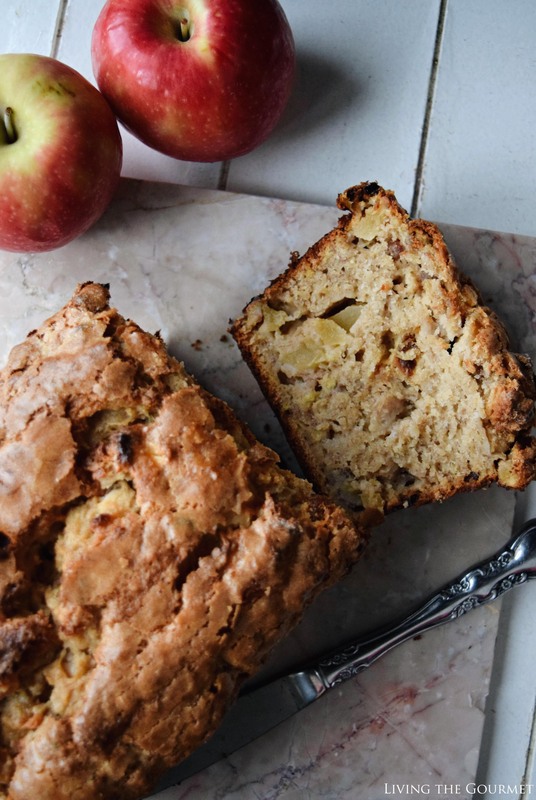 Savor a warm slice of this Apple Banana Bread today…perfect for breakfast or dessert. 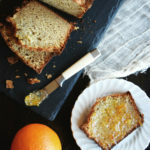 This quick bread looks so moist and amazingly delicious! Dear Catherine, I'm so glad you decided to "break the malaise, to move (your) mind onto pleasanter things" because reading this ingredient list and looking at this spectacular loaf fills me with pleasanter thoughts! 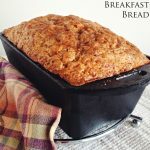 That mashed banana and Greek yogurt must make this so moist and ooh - to bite into a chunk of apple or raisin must be glorious! I am drooling just thinking about your bread! It looks absolutely scrumptious. I don't love to bake, but that looks like something I could handle! :) It would probably be gone in about 2 minutes too! Just look at those chunks of apple! This is banana bread taken up a notch! Yum! 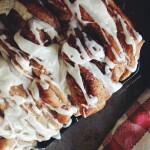 This Apple Banana Bread looks AMAZING Catherine! 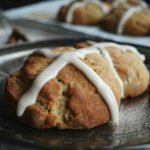 So moist & full of delicious goodies & bits! Can`t wait to give this a try! LOVE this bread! I'm such a fan of apple bread and love the combo with the banana. I pinned this...sounds amazing! 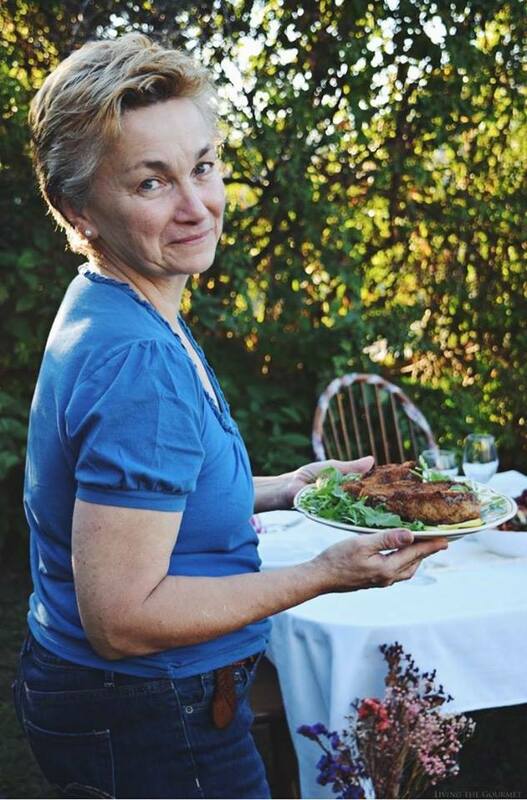 :) I’d love for you to share it with my Recipe and Crafts Facebook Group: https://www.facebook.com/groups/pluckyrecipescraftstips/ Thanks for joining Cooking and Crafting with J & J! This looks so yummy! Thank you for sharing at Merry Monday!